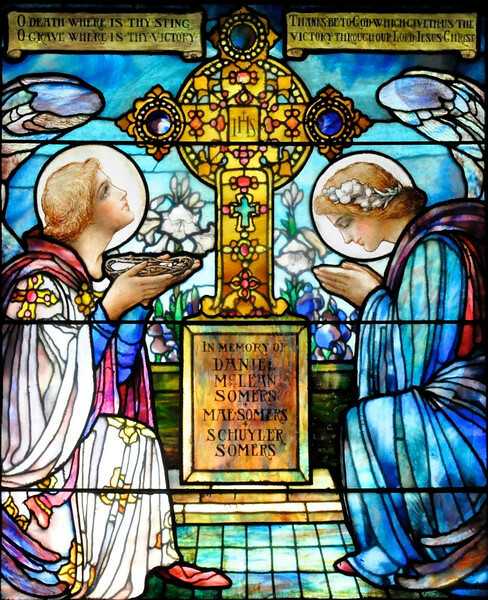 Stained glass window in the Somers Mausoleum in Green-Wood. You wouldn't believe how I got this shot. What a lovely stained glass window. gorgeous! I love stained glass windows. I hope you didn't have to "pass over" to get inside. Fantastic colors -- this is lovely! Such beautiful stained glass! Well captured!